We receive a lot of requests for generators for emergency power, most enquiries relate to the type of generator that can be bought off the shelf. 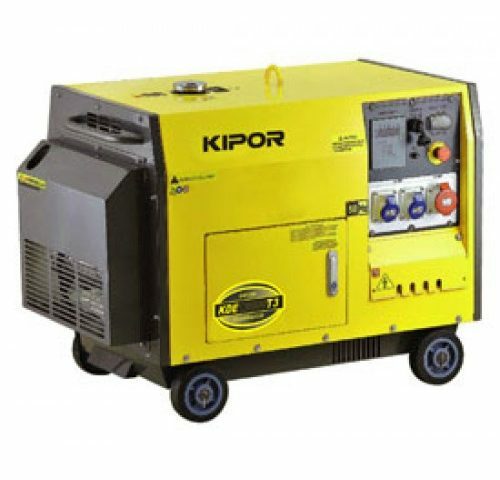 These generators are generally single phase, have a relatively small power output and run on petrol or similar. The post below gives a brief outline of what a generator is and what options are available. The idea is give the reader an idea of the differences between an off the shelf set and a set that has been specified for a particular use. I have taken some comments from a friend’s generator article which was published on Thai Visa. A link to the full article can be found below. Diesel or petrol (gasoline) powered generator engines, what’s the difference and which one is the best option…? A diesel engine burns less fuel than a petrol engine performing the same work, due to the engine’s high efficiency. A diesel engine has no high-tension electrical ignition system to attend to, resulting in high reliability and easy adaptation to damp environments. What’s the difference between direct drive and belt driven generators? A direct drive generator has the alternator bolted directly to the flywheel of the engine, in this configuration the alternator is single bearing. Direct drive is the most efficient method of driving an alternator. Alternators; 2 pole or 4 pole, what does this mean and what’s the difference…? ‘Pole’ refers to the permanent or (more commonly) electro magnets mounted on the rotor within the alternator. A 2 pole alternator has 2 magnets, a 4 pole alternator; surprise, surprise… has 4. Engine RPM, why do some generators operate at 1500rpm, others at 3000rpm (not to mention 1800, 3600rpm and 4500rpm etc…)? 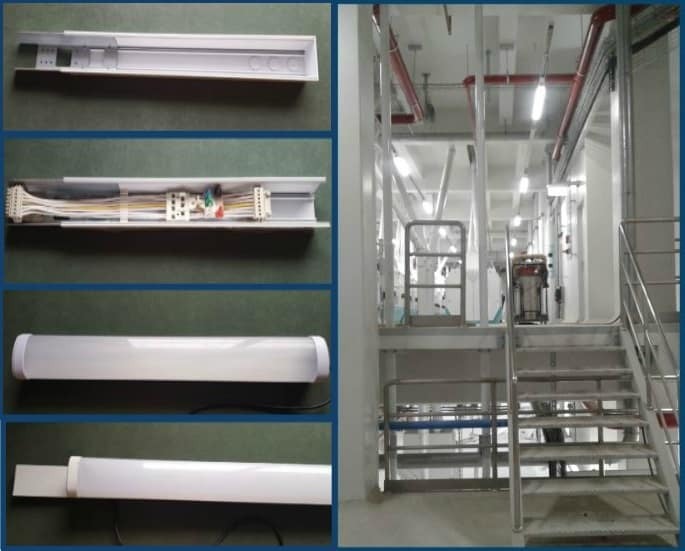 Single phase utility supply in Thailand is 220v @ 50Hz, the phase to phase voltage of three phase utility supply is 380v @ 50Hz. The frequency of a generator supply is dictated by the speed of alternator rotation. For a 2 pole alternator 600rpm = 10Hz, for a 4 pole alternator 300rpm = 10Hz. I’ve seen some generators rated in Kva and others in Kw… What’s the difference? Kva (Kilovolt Ampere) relates to ‘apparent power’ and Kw (Kilowatt) to ‘actual power’, the difference is related to Power Factor, and is a consideration when part of the load is comprised of AC motors in appliances such as refrigerators, ac units, well pumps etc. As most homes contain appliances such as this, typically, we will calculate the maximum Kw rating of a generator by multiplying the Kva value by a power factor of 0.8 to take the motors into account; e.g. 30Kva x 0.8 = 24Kw… this is the maximum available power, on which you should base your load calculation. What is an AVR and how does it work? Electronic voltage regulation is finding its way into smaller and smaller generator sets these days. It is still common for the voltage of small portable generators, to be regulated by a capacitor which will regulate the generator voltage within 5 to 10% of that required. An electronic AVR (automatic voltage regulator) is a far better option and will regulate the voltage within 1 to 2% or better. An AVR works by converting a small amount of the generator AC voltage to DC current (once the generator is at full voltage). The short answer is yes…! 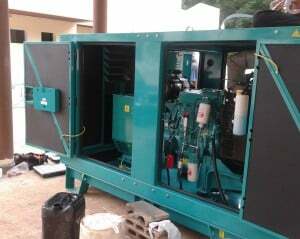 A good quality generator represents a significant capital investment. With regular periodical maintenance, it should give you years of reliable service. As with any type of engine, the longer you ignore maintenance the more serious and costly the inevitable problems will be. How do I connect the generator to my distribution board…? If you are purchasing a generator as a standby power source for your home, the connection between the generator and your consumer unit/distribution board MUST be made through a manual or automatic transfer switch (I would recommend these connections be made by a qualified electrician). Under no circumstances should you ever attempt to connect the generator directly to your consumer unit/distribution board. Ok so that gives you a pretty good idea about what type of generator is available and what some of the features mean, if you are interested to learn more please follow the link below.